Thank you to Emoderation (especially Tamara Littleton and Blaise Grimes-Viort) for sponsoring our first run of episodes. The show that I envisioned would not have been possible without their generous support. That support allowed me to reunite with Karn Broad, who produced the award-winning SitePoint Podcast that I co-hosted, and is my producer on this show. We were also able to do a number of other things to give the show a nice polish that matches the hope I have for the show and the quality it will represent. The podcast is available on iTunes and Stitcher, as well as good old fashioned RSS and email. If you do give the show a listen, I would love to have your feedback. All the best with the podcast. I use BeyondPod, but I should be able to find and subscribe to it. Thanks Abhi! 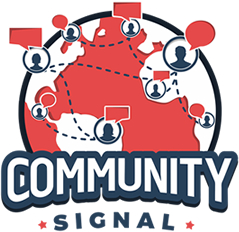 I just checked and if you search for Community Signal on BeyondPod, it is listed. I appreciate you mentioning the service so I could check.